Keep those nuts & screws in place! 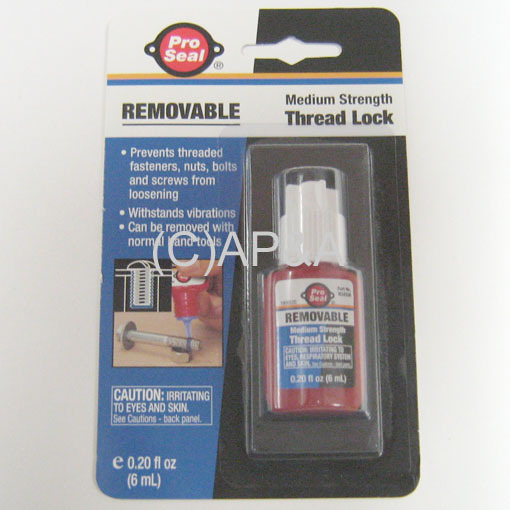 Strong non-permanent threadlocker compound keeps nuts and screws in place and prevents loosening or falling out from vibration. Allows for easy removal- does not set hard or permanent and won't damage any of the parts on your game. We use this compound on all the games we overhaul and restore in our shop, and it has saved a lot of unnecessary service calls and repairs over the years. Ideal for use on flipper coil stop screws, pop bumper and kicker bracket screws, nuts and screws on vertical up-kicker and ball popper units, post screw t-nuts, and much more. Small 6 ml. bottle will treat a LOT of hardware! Just a small drop on threads will help lock them in place. And allows for easy removal in the future.